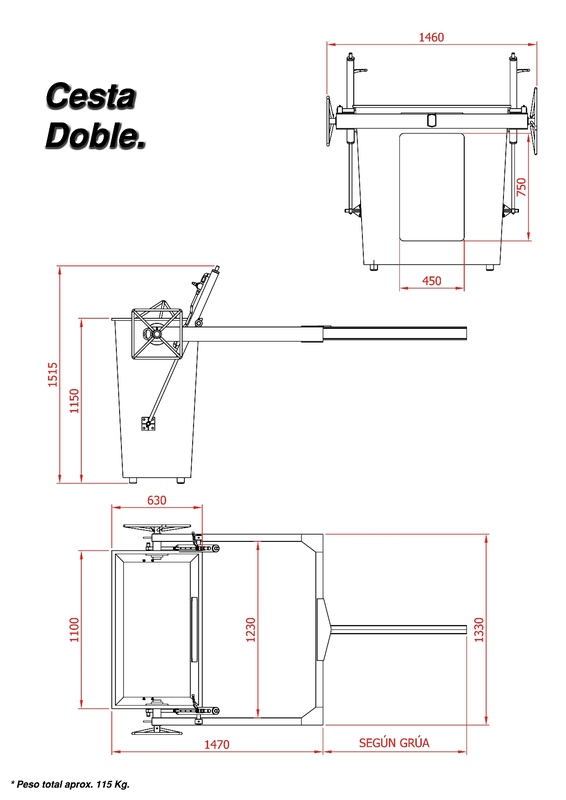 We have three different models, individual basket (for one person plus tools), double basket (for two people plus tools) and basket for two to five people plus tools. 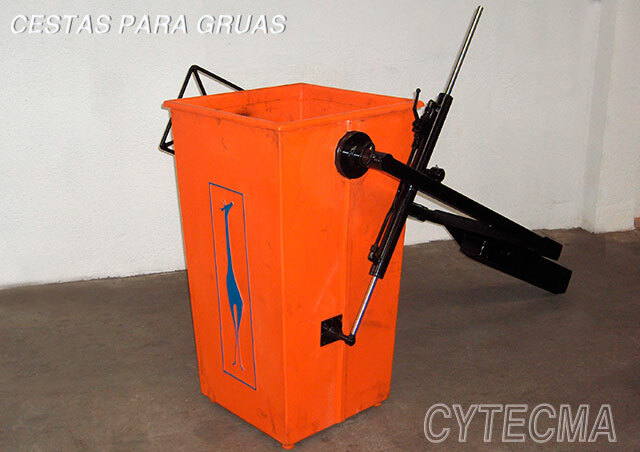 Basket crane for carrying operators, for one person and 75 Kg in tools. 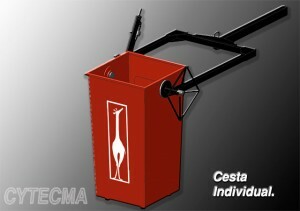 Made of high strength fiberglass, to get electrically isolated and lighten its weight. 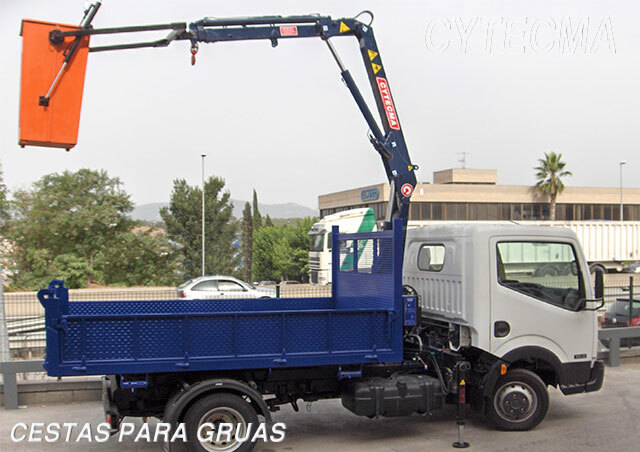 They have integrated an hydraulic leveling system and safety steering wheels. 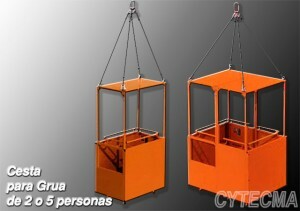 Double baskets for people, designed and manufactured for the lifting of 2 people, with a maximum load capacity of 115 Kg. 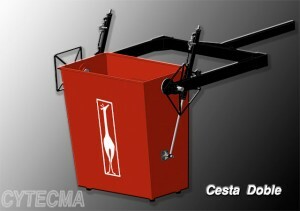 Light basket made of high strength fiberglass with an hydraulic leveling system and safety steering wheels. 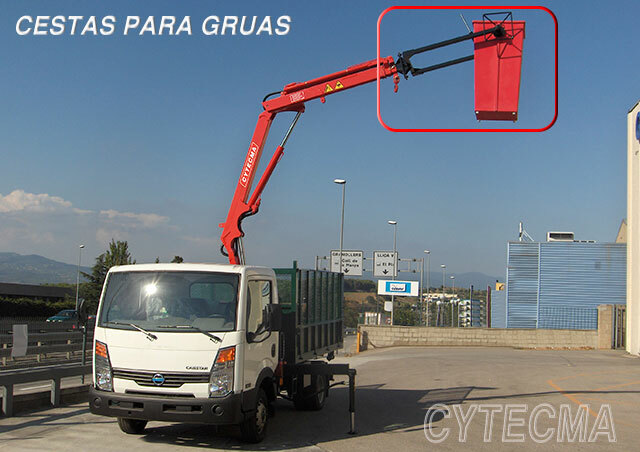 Removable basket cranes for 2 or 5 people, used as a rescue system or for height works, with a load capacity of 300 Kg. The baskets for 5 people can be converted into a basket for 2 people, with easy access to it. 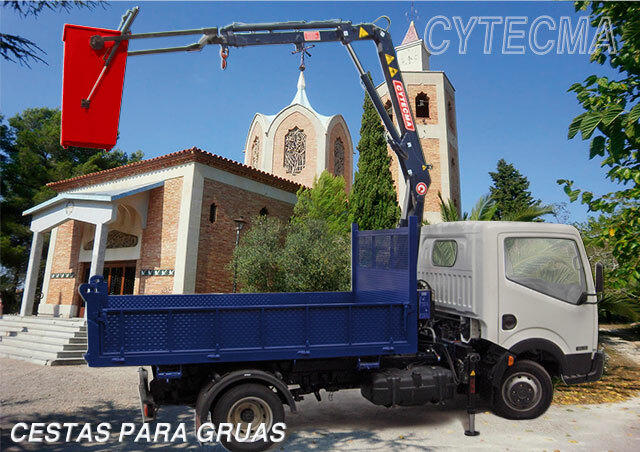 For more information, contact us.